There are 9 reviews of Floriental. I do like how it dries down that's about it. I think For over 100$ you could buy alot better smelling fragrance that's just my opinion. This was just a sample I had tried with no atomizer which to me makes a big difference maybe I'll try a bigger sample with a atomizer and see what happens. This is a bit of a car crash - light pot pouri florals with a harsh vetiver and a resinous, balsamy undertone. I don’t get any sandalwood or plum, which might have helped smooth things out, but more than likely would have clashed even more and made it worse. Just too many juxtaposed strong elements that conflict rather compliment each other. Stewed fruit, incense, peppers and what seems like the hibiscus/rose accord from Costume National's Scent Intense. I don't get much 'woods' at all. Totally wearable by a man in my view -- the longevity is excellent, but it is a little loud. Still, I like it very much. I'm a little worried that CdG fragrances are all beginning to smell a bit 'samey' though. Nothing groundbreaking from CDG, but one could surely do much worse than Floriental. Yes- it shares the same DNA as Wonderwood, with an added plum/floral. Very unisex. What I like most about Floriental is the "Play-doh" note I get from it. Given Comme des Garcons generally androgynous output, I have no idea why this composition has been categorised as feminine. Oddly, I find this fragrance fairly dull but slightly intriguing. In the air, this is a light, fizzy, gingery plum stuck in a lump of Playdoh that somehow manages to give the illusion of a cold, soapy, mentholated rose. When I sniff closely I get hints of Gucci Envy drowned in peppery exhaust fumes and burnt rubber. This is when my head starts to explode and my sinuses feel like they're going to kill themselves. There's no joy to be had up close. If Sharpie made scented markers the red one would smell like this and I would use it to draw a picture of a big tub of Swarfega, as this is what the dry down gives you. I feel Comme des Garcons are now hitting pointless fanboy cash-in territory. 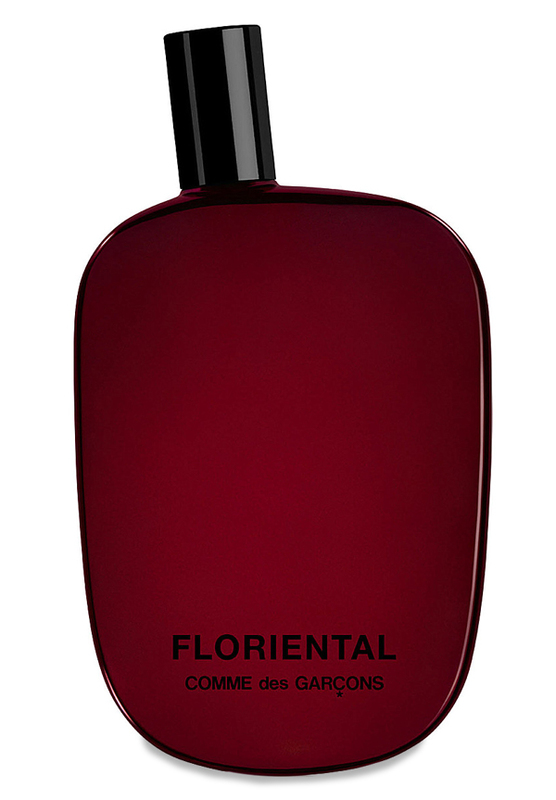 I'll say it - Floriental just smells like a less busy version of Wonderwood with added plum. I initially thought the plum was tuberose or something similar until I realized the pink pepper was tricking me. And what a delightful pepper it is - of a similar caliber to that of the unthinkably discontinued Lyric Rain (which is to say I enjoy it immeasurably). Spicy, woody, and bone-dry, this juice really has nothing to do with florals, so the name sounds dicey at best, but the product is a lovely little unisex which I would heartily recommend to any fans of Wonderwood, Gucci PH, Fever Pour Homme, Quorum Silver, or really any peppery, gingery dry woods. There are no member images of Floriental yet. Why not be the first?